The music scene in the East is thriving, with bands from the area really hitting the big time this year. 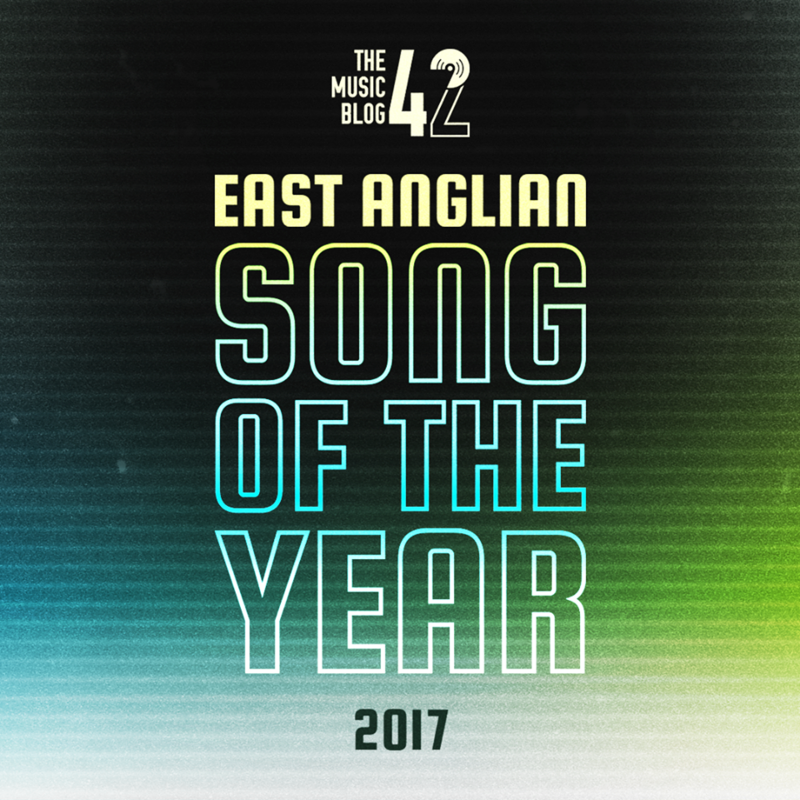 In this short segment, we look at our Top 10 tracks from East Anglia covering Norfolk, Suffolk and Cambridgeshire! The three-piece band hailing from Aldeburgh really hit it off this year with some barnstorming indie rock tracks, and Label Us is something truly special and is the pick of the bunch. A great guitar track, and with a chorus you just want to mosh to, these lads know how to write a cracking tune. Having seen them at the Homegrown Festival Showcase earlier this year, I can’t wait to see them do their thing again in 2018! Huckleberry Harrison (formerly known as Sam Harrison) released solo material this year with a ten-track record titled What The Huck?. The lead track Sheets Are White is a chilled-out indie funk fest, which paves the way for the rest of the record. It remains to be seen what the future will bring for Harrison, but we hope to see him and his band back making music in the future! Just like many artists on this list, Lumley has had an incredible year. Having supported rising indie band The Hunna at Cambridge Junction in April and embarking on his first UK tour in October, he released new track Just Like The Light in late September, an instant hit with his fans. The pop-rock track is a Lumley classic, with raspy, almost aggressive vocals and excellent guitar riffs shining through. The lead track from their December EP 15:16, L.O.V.E is five minutes and three seconds of music that you need to hear. As seen with numerous tracks in the past, they’ve really nailed their indie-pop sound, and this track proves that they are getting better and better. Catch Deep City at their BurySOUND heat on 26th January at The Hunter Club, BSE. You won’t be disappointed. Former BurySOUND winners Suburban Minds released their debut EP I’ll Exist Again When I Wake Up in July and lead track White Things is the pick of the bunch from it. An electrifying indie rock track with an infectious guitar riff tantalising throughout. With the band on an indefinite hiatus at the moment, new music will be hard to come by. But at least it means you get to listen to this more! Having seen Underline The Sky at the Homegrown Festival Showcase in September, we knew the band were going to go on to great things. And this track proves it. Our Fates In The Stars is an anthemic pop-punk hit with a soaring chorus, not to forget the inch-perfect vocals you hear on the track. This track is just one of a great catalogue of Underline The Sky tracks, go and check them out now on all streaming services! The Glitter Shop formed in 2017, and are already on to a winner with their debut track Fizz. An enchanting vocal performance lightens up the track’s synth-laden instrumentals which is just absolutely incredible. The band have new music coming in 2018 and have a few gigs already lined up too. Be sure to check it out when it drops because 2018 is going to be their year. Like the three other artists on the list, I first saw these lot perform at the Homegrown Festival Showcase, and it was absolutely incredible. Their unique brand of jazz-funk-soul-R’n’B music is something that needs to be heard, and the best track to listen to of theirs is Ain’t Got No Money! We’re definitely expecting new material from them in 2018 and we can’t wait for it! Norfolk’s answer to Loyle Carner, Franko Fraize is one of the most underrated talents from the East. His lyricism is top class, and the production of his tracks are always great too. Side By Side is easily the best track he’s released this year, although it was difficult to pick as all of his material is great! Another act to have embarked on gigs around the country, this lad is just getting better and better! 2017 has been the year of Gaffa Tape Sandy. Glastonbury, a sold-out headline show at The Hunter Club, and an excellent EP proved that GTS are the best band in the area. Beehive was finally released in October after being a staple of their live shows and after a great reception to their track’s performance at Glastonbury. The studio version is full throttle from start to finish just like the live versions. Is there new music coming? Yes! When do we want it? RIGHT NOW. Listen to a playlist of the above music here!